The Beauty Scoop! 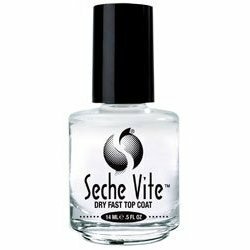 : A Love/Hate Relationship with Seche Vite! First of all, sorry for the stock photo of the Seche Vite, it appears that my computer is a bit poorly as it’s now allowing me to do *anything* with my photographs, or photoshop – so whilst I am trying to fix it, I will do my best with what I’ve got already ready to go, picture wise. I'll change it once I can get my computer sorted. I took my time getting around to trying out Seche Vite as a lot of the time, I don’t use a topcoat due to wanting to take photographs of the product as it is, without the use of topcoats for realistic swatches on here; so I’ve had a bottle sat there for quite a while, just waiting for me to make use of it. Anyway, I finally put it to the test when getting ready for V Festival last month due to running late and generally being totally disorganised for it. I needed my polish to be dry very quickly so that I could get the rest of my stuff together and catch my train on time, so in stepped the Seche. At first, when I used it, I could not have been happier, it dried my polish and made my nails super glossy to boot – what was not to love? It was the next day when my love for it lessened; I first noticed that my polish had shrunk, like a woolly jumper fresh out of a very hot wash from both the top and bottom. I then noticed a weird finish to the previously glossy finish... kind of dull, but patchy and well... just weird, really. I could handle that, it wasn’t hugely noticeable at that point. However, later that day a whole nail of polish peeled off my nail, clean off – like I’d never even had polish on that nail. The polish I was wearing was a Nails Inc one, not that old and one that I had worn once previously with absolutely no issues at all! My nails had never been prone to this happening previously either, with any polish so it can’t have been them. I had to put up with my nails like that for the rest of the festival, since I hadn’t taken polish with me as I never normally need it so soon after painting my nails (unless I choose to take it off in favour of a new colour) – bad times! Since getting back from V Festival, I tried it with a different polish to try to make sure it wasn’t the type of polish, being in a field or just an unlucky coincidence that this had happened and again, I got the shrinking and peeling. I’m actually gutted about this, as I thought I’d found the answer to my running late/getting ready problems... I guess if I don’t mind the polish only lasting one night, I could still use it, but I’d like to wear polish for a couple of days at a time, ideally. 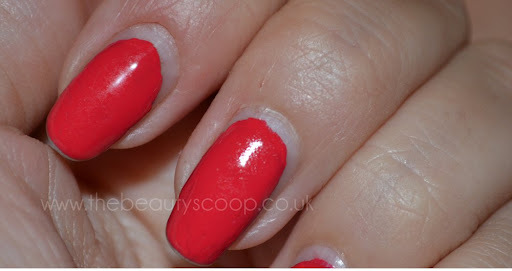 Same issues with Seche Vite here! I changed over to Essie's No Chips Ahead, and it's amazing. Never looked back. You should check it out. It's been noted by many users that Seche Vite has major shrinkage, I think there are even popular nail bloggers that discuss it (try The Swatchaholic). I use China Glaze, they have various top coats that I have been impressed with. Good luck in finding one that works! Thanks for the tips guys (haha, that pun was not intended at all)! I'll give tip wrapping a go, see if that helps!